Explore the thrilling new exhibition "Spellbound", with vikings and vistas, peaks and pioneers, reindeers and ramblers, folklore and fairytales - included the interactive Mountain Science Center. Feel the wind, rain and thunder in the weather room. Shape the landscape with your own hands by using water and sand, and learn about geology, weather and climate. What about a trip to the summer-open ice tunnell in Klimapark2469, or a tour with artificial rain, “sandscape” you can shape, ancient findings from the melting ice and two mammoths in the exhibition Spellbound? We sell and send gift cards. In our shop and book store you will find hiking maps, books, souvenirs, toys and jewellery. Explore the past in the present in the ice tunnel by Galdhøpiggen: 50 meters into the ice - 7000 years back in time. Learn about nature, wildlife and humans living in the highlands. Ecperience thowing permafrost and melting snow fields. Discover the sensational Secrets of the Ice: Artifacts surfacing from the melting ice. Buy your tickets here! 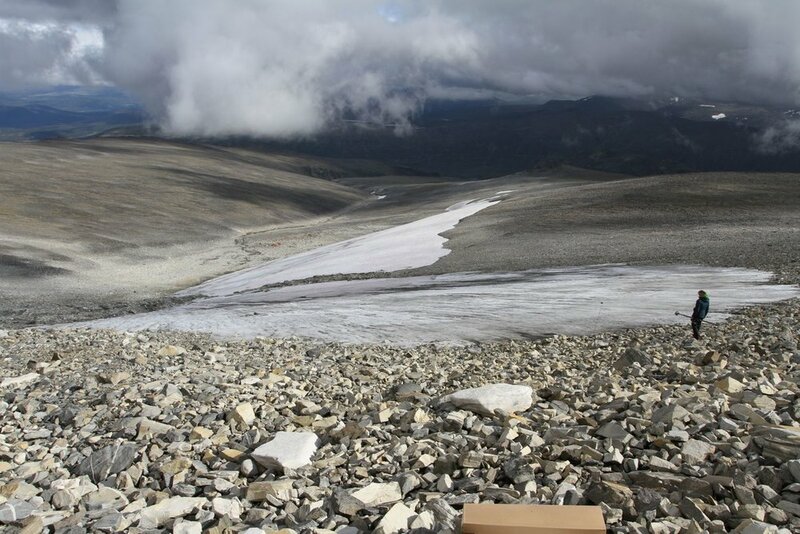 The scale of the archaeological material from glaciers and ice patches in Oppland became visible during the big melt in the fall of 2006. From this year we have worked continuous with the rescue of finds from the ice. Follow the exiting work of the glacier archaeologists her! At the mountain center we exhibit newly found materials. Visit Secrets of the Ice's web site her or follow on Facebook.